Great refreshing tortillas sandwich without meat, fast and easy recipe made from less than 7 ingredients! 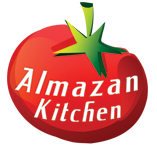 Hi and welcome to AlmazanKitchen! What is the best way to have nourishing, tasty but fast meal? Wraps! Or rolls. Call it how you like it. Everyone loves it. Great stuff!